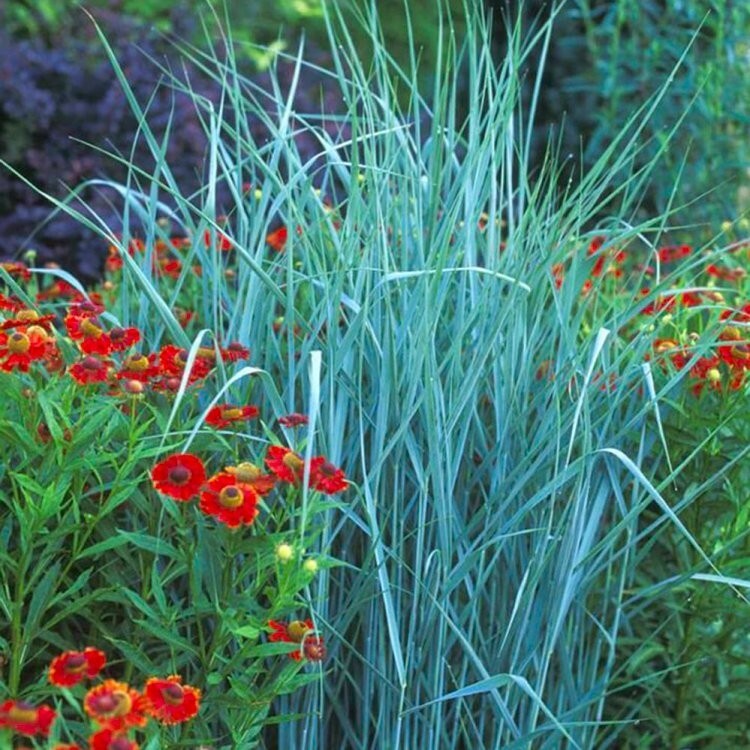 This Prairie Sky grass forms clumps of striking lax blue stems and foliage topped with delicate airy flowerheads. In late evening, the tiny silvery spikelets seem to dance above the foliage. Winter leaves and seeds develop a soothing sandy brown color. This handsome grass thrives in prairie type settings or in sunny gardens with moist, average or dry soils. These ornamental grasses are Deciduous: Cut back stems close to ground level from lateFebruary through to the end of March. This listing is supplied in a 2-3 litre pot.